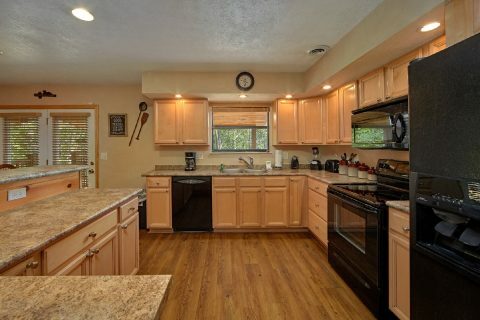 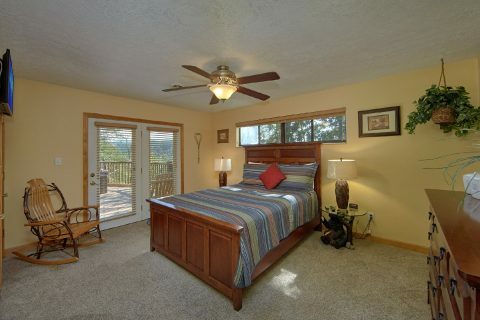 Welcome to "Above the Rest," a lovely 3 bedroom chalet close to Gatlinburg, TN. 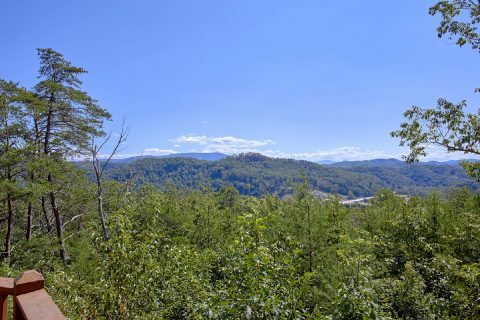 This cozy rental enjoys a great location on Wears Valley Road only 3 miles from Downtown Pigeon Forge. 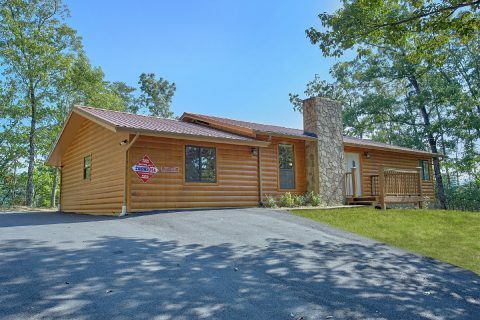 With a short drive, guests of this cabin can reach the seemingly endless attractions along the Parkway like The Island. 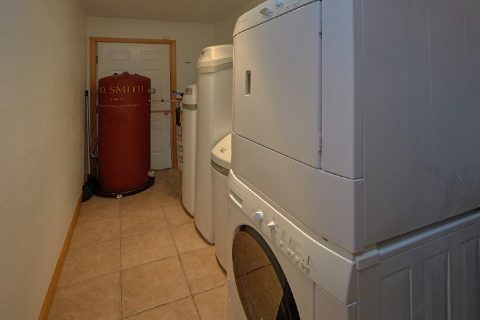 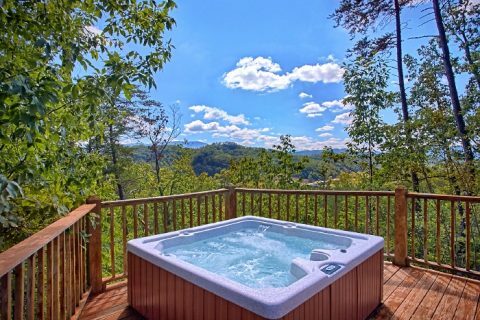 Better yet, this rental comes with stunning mountain views that can be enjoyed from the comfort of your bubbly hot tub. 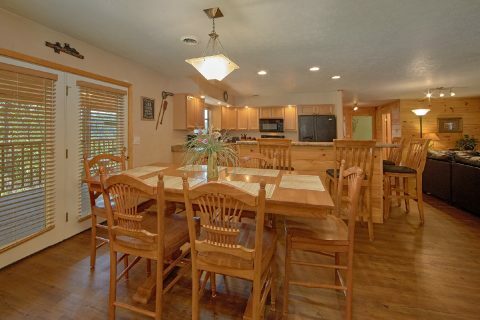 Your 1 level, three bedroom chalet rental sleeps up 6 guests in Smoky Mountain comfort and style. 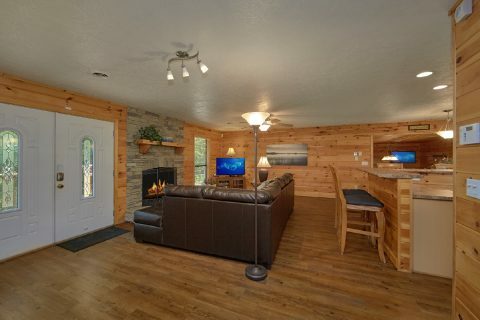 Step into your cabin rental close Gatlinburg where opportunities for fun and relaxation abound in your cozy chalet. 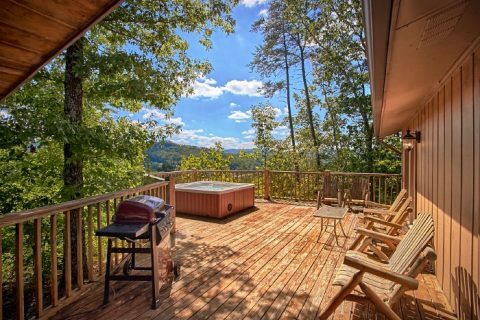 Enjoy the view from your spacious cabin deck with a hot tub and a BBQ grill. 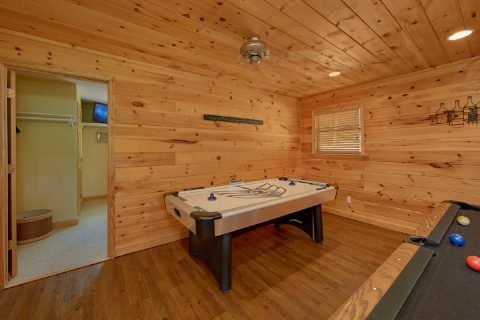 Kids and kids at heart will love this rental's huge game room that features a pool table, darts, and an air hockey table. 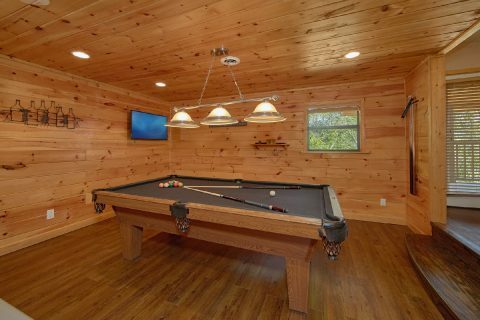 Play round after round of your favorite game while you enjoy quality time with friends and family. 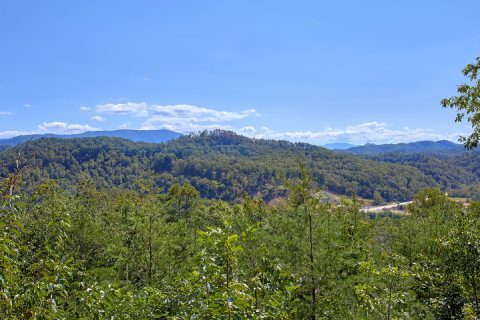 Enjoying fun sights and attractions in the Smokies can work up an appetite! 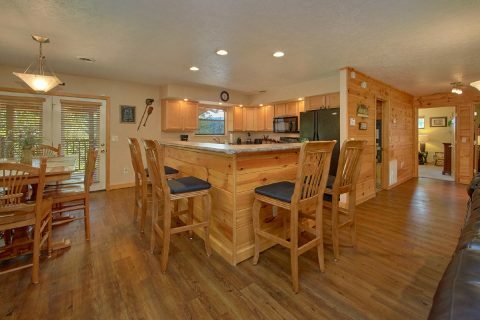 Luckily your cabin rental comes with a kitchen and a dining area where you can prepare and serve delicious meals. 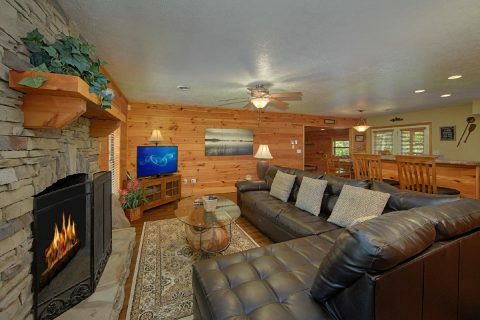 After dinner, your family can cozy up in the comfortable living area complete with a television, comfortable furnishings, and a gas log fireplace. 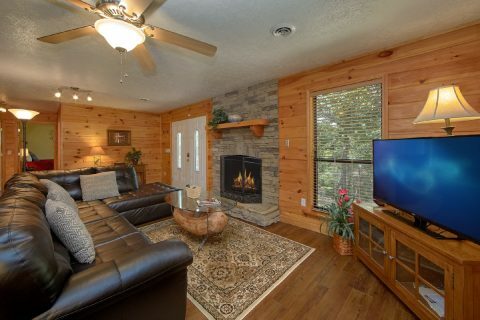 With this cabin's Wifi Internet access you can share your Smoky Mountain adventures with your friends and family back home. 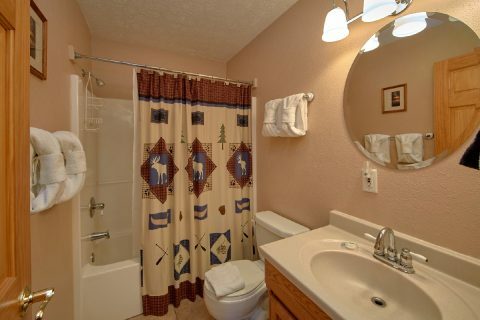 Once it's time to turn in for the night, guests can look forward to retiring to 3 spacious bedrooms for rest and relaxation in privacy. 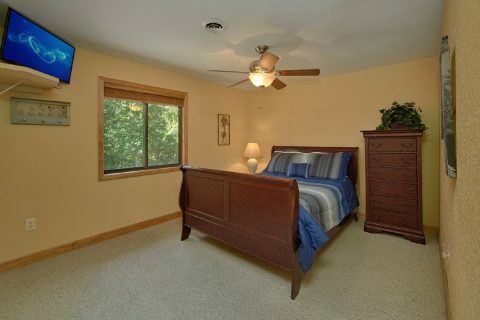 Two of these bedrooms feature king-size beds, while the 3rd bedroom provides a queen bed. 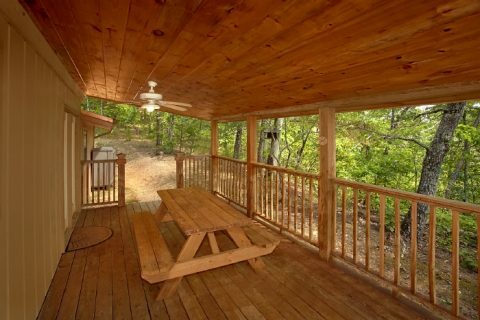 Book online with Cabins USA Gatlinburg and save with our special cabin discount!